Zephyr is an American manufacturer of caps for virtually all teams from the west of the country. They manufacture everything from college caps to NHL hats. All their products are of course licensed and are of the highest quality in terms of design, where they have been very successful. With a mix of modern and classic designs, they have a range to suit all cap-lovers. Their caps are also available in many different styles. From snapback hats and fitted caps to normal flexfit hats. Their caps are the highest quality and they are for many people, an obvious choice during matches. They suppy to NHL teams including New York Rangers, Philadelphia Flyers, Detroit Red Wings as well as many more. Find your favourite cap today. 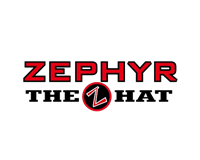 You can buy Zephyr hats here. We have a selection of their NHL beanies which are both popular and genuine. Zephyr is the manufacturer with the license for all teams in the NHL and they have a solid history of manufacturing supporter merchandise. With their long history, they have a knowledge base that allows them to produce very popular hats. Find your Zephyr beanie today - fast delivery from our warehouse.